The next major consumer electronics trade show, IFA 2016, kicks off on September 2 in Berlin. Acer, just one of many exhibitors, is reportedly preparing to showcase a smartwatch for the gaming market if the latest report from Chinese site Economic Daily News (via DigiTimes) proves accurate. Outside of its designation as a high-end wearable, nothing else is really known about the device at this time which leaves plenty of room for speculation. Taken at face value, nobody is really expecting Acer to unveil a smartwatch designed strictly for gaming. With so little real estate, it’s simply not plausible to ask people to try and become immersed in a gaming experience on such a small gadget. Instead, as Digital Trends notes, Acer may present some sort of social-focused wearable a la Razer and its Nabu (you know, the one that’s designed for the zombie apocalypse). Then again, Acer does have the gaming chops to pull off something pretty impressive. 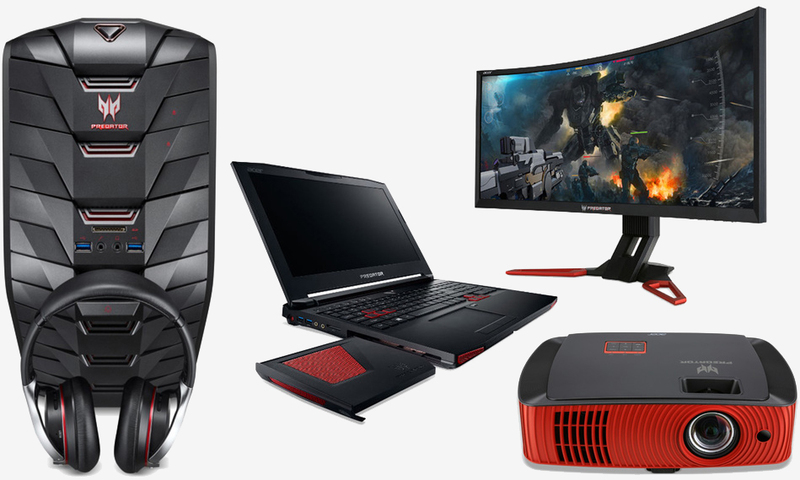 Its Predator line of gaming products spans desktops, notebooks, tablets, smartphones and even projectors – expanding to smartwatches could happen although again, it doesn’t seem like a great idea. In related news, Asus will reportedly unveil its third-generation ZenWatch at IFA 2016, this time sporting an all-new industrial design. Samsung, meanwhile, is said to be bringing its Gear S3 smartwatch for show-and-tell. Sources say it’ll feature a built-in barometer that’ll aid in forecasting the weather and an integrated speedometer for runners and cyclers. It is still acer, so not worth my money. had their systems 3 times, and that was enough. I would almost say that I will rather take apple over acer, but only almost. How can this be a "gaming smartwatch?" Where's the RGB lighting? You can't call anything "gaming" these days without throwing in some kind of useless RGB effects. Acer better get on the ball if they want to move these gadgets. I'd say the same thing except I wouldn't come as close as you would to buying Apples stuff.